Welcome to my Blendtec Total Blender Wildside Jar Review after 3 years of owning this machine. My experience owning it for over 3 years. How the Blendtec Total Blender compares to other models in the Blendtec family. What the Twister Jar is and why it's important. Whether or not you should consider other brands (including Vitamix). Where the Total Blender excels and where it falls short. If you're in a hurry - check out the summary box below - otherwise keep reading for the full guide. It's affordable compared to some of the other high end blenders on the market. It's got an awesome warranty that's 8 years long. It's powerful enough to blend anything once you learn how to use it. But there's one thing that I don't like about it -- lack of a tamper. Having used a Vitamix with a tamper along with the Total Blender pretty extensively, I really feel that the tamper makes it much easier to do blends that don't have a lot of liquid. You can do it with the Total Blender, but it requires adjusting ingredients between cycles. If you don’t think you’re going to be making things with little to no liquid – then get the Total Blender. It’s a great product at a great price. Pick up a Vitamix Vitamix A2500 or Vitamix E310 Explorian. They’re both affordable Vitamix options that have the tamper that I love to rave about. What Important Features Does the Blendtec Total Blender Have? What Can You Make with the Total Blender? What is the Twister Jar and Why is it Important? What's the Difference Between the WildSide+ and FourSide Jars? 3-HP Motor: The Blendtec Total Blender (and all Blendtec's) have some of the most powerful motors on the market today. Dull Blades: Because the motor is so powerful, the Total Blender has dull blades which leverage the power of the motor to pulverize rather rely on "chopping" power. The blades are dull, thick and durable. They rely on the powerful motor to pulverize and won't wear over time like sharp blades. Push-Buttons: The Total Blender's interface has all push buttons rather than knobs or a touchscreen. 10-Variable Speeds: Using the + / - buttons on the Total Blender, you can turn the speed up and down to your liking. This is actually very important because starting slow allows the ingredients to "catch" onto the blades before you turn it up and create a full-on vortex. This is the interface of my Total Blender - it's a bit older and the newer interface has symbols instead of words on the buttons, but they do the same things. LCD Screen: Displays information about the current blending cycle among diagnostics. The screen on the Total Blender displays things like blending time and any error codes that may pop up. Pulse: If you're doing a rough chop of an ingredient (say for a Tortilla soup), a quick pulse can quickly spin the blades without doing a full on blending cycle. Venting Lid: No matter which blending jar you get, the venting lid means that it can make hot soup without pressure build up. The Blendtec Total Blender can make pretty much anything your heart desires. Having used the Total Blender throughout this whole week I've made all of my most common blends that I make in my Vitamix. That list really just scratches the surface of what you can do, though. 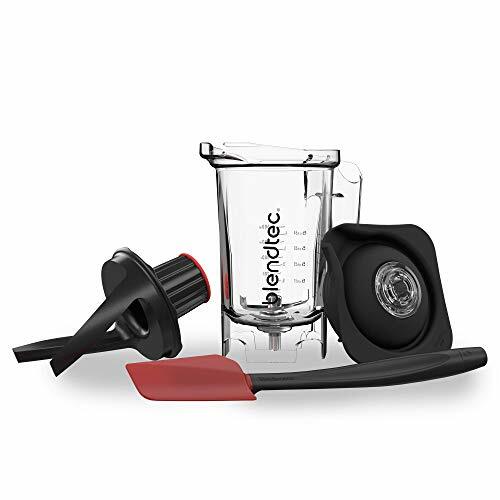 Batters, dry grinds, and nut butters can all also be done in a Blendtec Total Blender. *I will wish that I had the Blendtec Twister Jar, because it would make some of the tasks so much easier. There were several times during certain blends (like banana ice cream) where I'd have to stop and readjust the ingredients. The Twister Jar is Blendtec's version of a tamper which gets the ingredients moving towards the blades so you don't have to stop during blending. As you can see, the Twister Jar keeps all the ingredients moving inside the blender which allows the Blendtec to leverage it's really powerful motor. If you plan on making things like nut butters or really thick fruit ice creams, then I would highly recommend getting the Twister Jar. If you're just going to be making standard smoothies, hot soups and sauces, then it's not really necessary. According to Blendtec, the main difference between the WildSide+ and FourSide jars is size. The WildSide+ has a 90 oz capacity while the FourSide jar has a 75 oz capacity. The WildSide Jar's extra ridge is designed to keep the ingredients flowing to ensure that a vortex is formed. For the sake of this guide, we put in the comparison charts that you can get any Blendtec with the WildSide+ or FourSide jars. That's because depending on where you shop, you'll tend to find different combinations of bases and jars. Also, both jars can be used interchangeably for the Blendtec models featured on this guide. To make sure I'm not totally biased, I researched to see what others were saying about it online. The majority of people that bought the Total Blender seem to be happy with it, but there were some common complaints. The main one was the issue of the motor jamming and the screen saying OVERLOAD. In my experience, this would only occur during heavy duty blending. When making banana ice cream with no liquid, the bananas would sometimes cause an overload from being too hard (they were frozen) or being too stuffed into the jar. When the blender stopped and said OVERLOAD, I would give the blender a minute to recover while I mixed the contents in the container. While not a seamless process, it still produces a perfectly textured frozen-fruit treat. When you're comparing the Blendtec Total Blender to the Nutribullet, you're talking about two completely different tiers of blenders. The Blendtec is a lot more powerful, a lot bigger, and comes with a much longer warranty. As a result, you'll typically find a much higher price point. The Nutribullet Pro on the other hand, is still really good. It's powerful, makes thick smoothies and is super convenient with the to-go cups and lids. I honestly use it all the time instead of one of my bigger blenders if I'm making something small. If I had to pick one, regardless of cost, I would honestly go for the Blendtec. The main reason is the warranty which is 7 years longer. A blender is an investment you want to make once. The extra power and the ability to make hot soup are also great. You can also do this in the Nutribullet Rx, but I'm a bigger fan of the Pro 900 for cost reasons. But if you're someone that's on a budget and on the run a lot - the Nutribullet isn't a bad choice at all. The Ninja Pro 600 is probably the best-selling Ninja Blender right now, which is why I chose it to compare to the Blendtec Total Blender. The Ninja wins when it comes to convenience (because of the to-go cups) and price-point (you can generally find it for a lot cheaper). 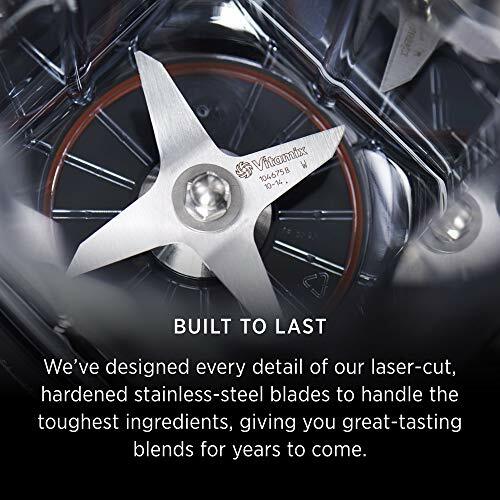 The Ninja is also great for dry-chopping because of the 6-blade system. It's great for things like cauliflower rice. I think you should get the Ninja if it's all you can afford at this moment. It will be more than enough for smoothies, sauces, chopping and even some dry blends. But overall, the Blendtec is the better machine, if you can afford it up front. I prefer buying kitchen appliances that I know are going to last a long time. The Total Blender's warranty is 7 years longer than the Ninja -- a huge amount of time. The Blendtec can also make hot soup right in the container with it's own friction while the Ninja cannot. I don't think you'll be disappointed with either machine, but for me the Blendtec wins for those two reasons. 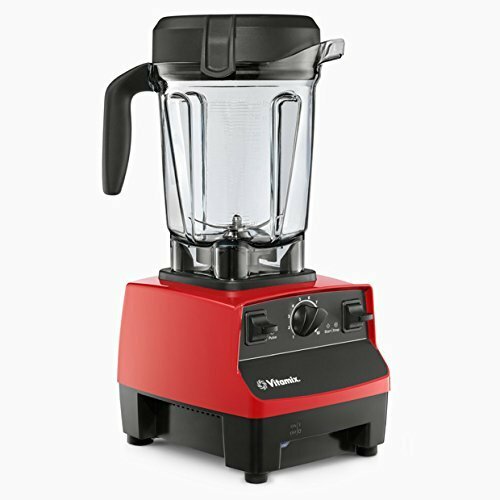 The three important differences between the Blendtec Total Blender and Vitamix E310/E320 is the tamper, power and warranty. From my experience, having a tamper is a crucial part of a blender’s performance. No matter how powerful the motor, air pockets can form and ingredients can get stuck on the sides. This is where you either need to stop blending to shift ingredients around or use a tamper to push things towards the blades. My biggest gripe with Blendtec is the lack of tamper. I’ve experienced many occasions where I could have really used one. 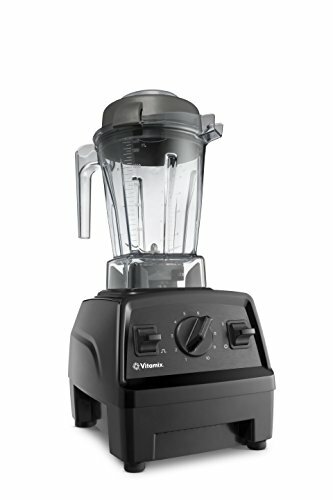 But when it comes to power and warranty, the Vitamix E310 and E320 aren’t as good as the Total Blender. 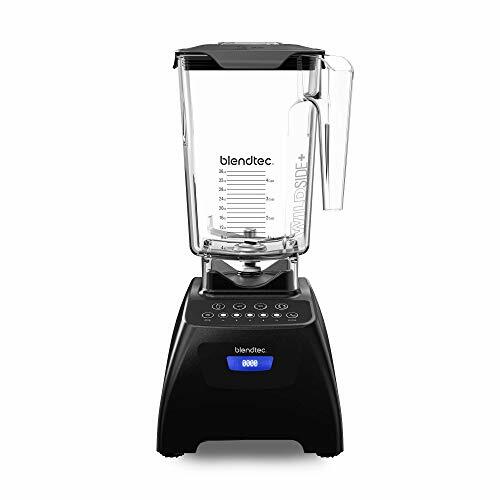 ​Either get the E310 on it’s own or get the Total Blender with the Blendtec Twister Jar. If you can find it within your budget to pay for this extra accessory, you’ll get more power, a better warranty and tamping power. But if not, then you won’t be disappointed in the Explorian Series. It’s priced affordably and will do any blending task you want it to – same as the Total Blender. The Vitamix 5200 is a no frills kind of blender that only has variable speed settings. It doesn’t have any pre-programmed blending cycles or a pulse function like the Total Blender. It also comes with a one year lesser warranty when you buy it new. So does that make it the inferior blender? As I’ve said several times throughout this guide, I am a huge fan of the tamper that comes with all the Vitamix models. It’s extremely useful when blends get really thick, air pockets form and there’s not very much liquid to form a vortex. Blending banana ice cream is the perfect example. I’ve had multiple attempts where using my Total Blender just wouldn’t cut it without stopping and adjusting the ingredients. So my recommendation for the 5200 is the same as the Explorian series. Either get the Total Blender with the Twister Jar or go for the 5200. 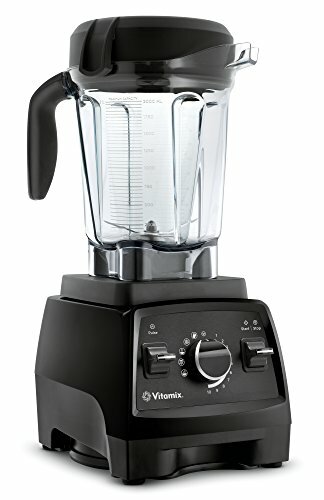 The Vitamix 5300 is a bit closer to the Blendtec Total Blender than the 5200 because it has a pulse feature and slightly more power (2.2-HP vs 3.0 on the Total Blender). 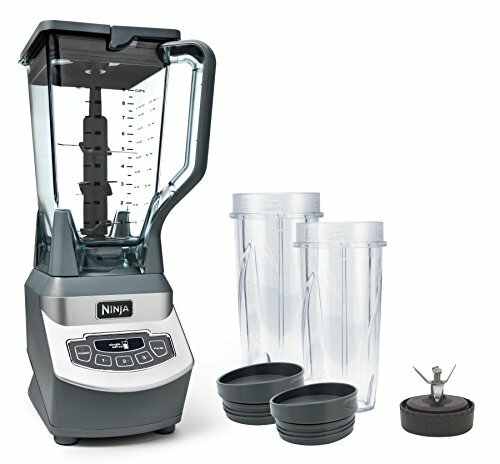 The jar on the 5300 is similar to the Total Blender jar because of it’s wide base and longer blades. Personally, I’ve never found the cycles too important and just prefer to blend manually. But there are people who swear by them. They’re useful if you’re making the same blends day after day. Between the two, my preference is for the 5300 — again because of the tamper. But if you can grab the Total Blender with the Twister Jar. then I think they’re both on an even playing field. The Vitamix 750 gets even closer in features to the 750 with it’s 5 pre-programmed settings (cleaning, smoothie, frozen dessert, soup, and purée) compared to the Blendtec’s 6. It still has a weaker motor and shorter warranty by one year, though. As I’ve expressed before, I don’t particularly think these are that necessary and I’d rather pay less for a Blender that doesn’t have them. That being said, the price difference between the Total Blender and Vitamix 750 is usually pretty significant. Even though the Vitamix 750 still has the tamper that I’ve been raving about, I would still recommend the Total Blender unless you can find them at a similar price point. You’ll probably be able to use the difference in price to get yourself the Blendtec Twister Jar! At that point, you’ve got a more powerful blender with tamping-capabilities with a longer warranty. Also, despite the cleaning function on the 750, the Total Blender can still clean itself the same way by doing it manually with some soap and warm water. So paying more for a Vitamix with pre-programmed functions isn’t worth it in my opinion. All you really need is the variable speeds and the tamper and you can blend anything. Yes - through App (not on interface). Warranty: The A2500 comes with a 10 year warranty while the Total Blender has 8. Tamper: As with all Vitamix models, the A2500 has a tamper where you need to buy the Twister Jar separate for the Blendtec to get out air pockets. Pre-Programmed Settings: The Total Blender has 6 settings built into it while the A2500 only as cycles that can be accessed via the Vitamix Perfect blend App. But if you don’t care about the cycles, it’s still got a variable speed and pulse. So all prices being equal (you can usually find the Total Blender for cheaper, though), I truly believe that the A2500 is the better choice. The longer warranty, the tamper, and the optional technology that you can leverage with the A2500 is what brings it over the top. Aside for the slightly weaker motor, I can’t really see any downside to the A2500 besides for potential extra cost. The motor isn’t that important because it’s still powerful enough to blend pretty much anything you want — especially with the tamper. So unless the price difference is significant enough to impact your budget, I’d go with the A2500. But if you absolutely cannot afford it, I’m sure you’ll be happy with the Total Blender. If your budget is really tight, then you could also consider a refurbished Total Blender to potentially save a few bucks. The Total Blender has three advantages over the 7500: The pre-programmed cycles, power and longer warranty. It has one disadvantage which is lack of a tamper. 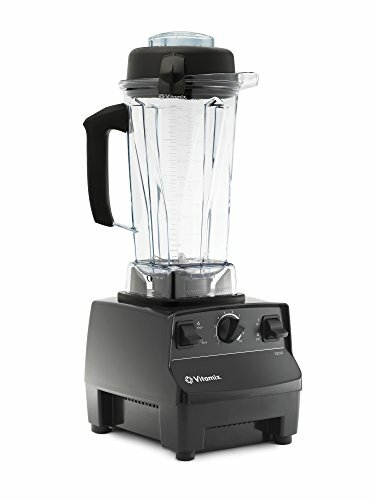 This is the case for pretty much all Vitamix models, but I don’t think the 7500 is the one I’d pick over the Total Blender. Well, the 7500 is usually priced a good amount higher and you don’t really get much compared to the other Vitamix blenders. I’d much rather get the A2500 for the warranty and advanced technology or the Explorian E310 as a bargain option. 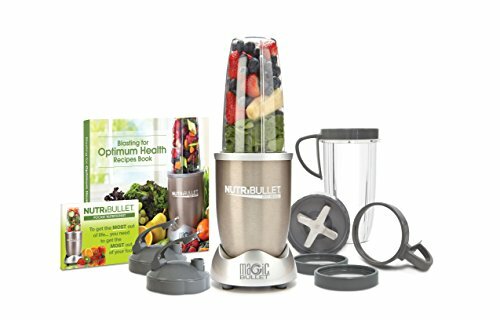 If it’s between the 7500 and the Total Blender – I’d probably just get the Total Blender with the Twister Jar on the side because I’d end up spending around the same amount. 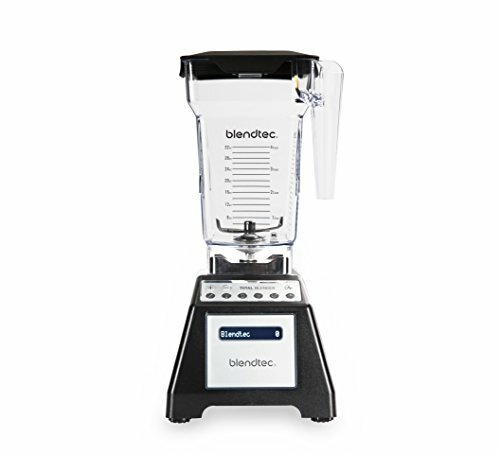 There aren’t many major differences between the Blendec Total Blender and the Classic 575. The power is the same and the warranty is the same — the only differences are in aesthetics and slightly varied controls. Rather than having the +/- buttons to control the 10 speeds on the Total Blender, the Classic 575 has a separate button for each of it’s 5-speeds. It also has fewer pre-programmed settings than the Total Blender, but the ability to go for 60 seconds or 90 seconds at the push of a button. If you’re stuck between the two, I don’t think you’ll notice much of a difference in practical functionality – there isn’t one. The final decision will come down to price and preference. *The 570 is a model that’s available only at Costco. It’s got a few less buttons (Smoothie and Hot + 3 Speeds), but is otherwise the same as the 575 in terms of power and overall abilities. It’s also got a few less color options. The differences between the Designer and Total Blender Classic are a matter of aesthetic and interface. The Total Blender Classic has 6 pre-programmed functions (Smoothie, Batters, Hot Soup, Whole Juice, Ice Cream, Ice Crush) while the Designer has 4 (Smoothie, Ice Cream, Whole Juice, Hot Soup). You’ll find that the Designer also has a slider to control the variable speeds while the Total Blender Classic has the +/- buttons which let you adjust it up and down. The Total Blender has 10 speeds while the Designer has 6. Functionally, both machines can do the same thing, but many people feel that the Designer has a “cleaner” aesthetic — which would make sense given the name. I wouldn’t necessarily prefer one over the other. To me, it would be mainly a matter of what they cost when I’m shopping. If you're not sure if you should get a Blendtec Total Blender or a food processor, let me say this. A Blendtec can act as a food processor, but not vice versa. You're also getting the ability to blend or create smoothies, hot soups and other things that a food processor can't do. So how does a Blendec best function as a food processor? It's called "wet chopping" and it works like this. Place the ingredients you want to chop into the blender and cover them with a decent amount of water. Using the pulse function, do short rotations of the blades to chop the ingredients - the more you pulse, the finer the chop. Use a mesh strainer to get rid of the water and enjoy! You can also use this pulse function to dry chop (although the wet chop is easier in my opinion). By doing pulses with pauses in between, you'll be able to chop up carrots, onions and more -- just like you would a normal food processor. So if you're between the two, I'd opt for the Total Blender because of it's greater versatility. Even though the a Refurbished Total Blender only comes with a 3-year warranty (which is still pretty good comparatively speaking), I honestly think it’s one of the best deals you can find on a top of the line blender. You can usually find it significantly cheaper than Vitamix refurbishes or a new Total Blender. If you have a tight budget, I suggest checking it out here. It’s one of the best bargain blenders you can get — even without the tamper I’ve been raving about.